You have been in several relationships, and yet, none of them has felt right – none of those guys were ‘the one’, in fact, all of those guys were ‘the same one’. You’ve tried asking your girlfriends for advice, but they aren’t providing anything truly helpful. This is where a mentor can help! My best-selling book, “To Date a Man, You Must Understand Yourself”, provides you with the tools you need to uncover the reasons why your relationships so far have not been fulfilling for you. The book gives you a pathway into yourself, bringing you out of your old habits and helping you to develop yourself in a way that enables you to attract that ‘right guy’. So many times, ladies come to me with your stories of dating or marrying a guy, then suffering through the heartbreak of a break-up. You are feeling down on yourself, discouraged and hopeless. In one such example, one of my readers contacted me regarding a break-up where she was convinced that she was still ‘in love’ with the guy, but after several emails and coaching, she finally began to take my advice and activate the steps in “Who Holds the Cards Now” to grow her confidence and begin moving on. Ultimately, she began to realize that she actually didn’t want or need the old relationship and also that she needed to take time to explore herself before getting into another serious relationship. She will enter her next relationship a much healthier woman. Had this woman had a mentor, she may have been able to see where she needed to make changes much earlier in the relationship, saving herself great heartbreak and years of time lost on a doomed relationship. A mentor can help you to understand yourself. A mentor is someone you know and trust, someone who provides you with a good example of how to live your life. 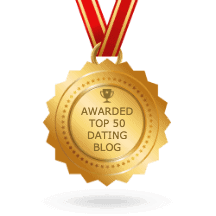 How many times have you wished that you had someone you could talk to, bounce ideas off of or tap into for really good dating advice? A mentor can be someone from your family, education, workplace, church or other area of your life. It is someone who you look up to, who knows you and understands your life and your challenges. A mentor is someone who has succeeded in the area you are questioning or currently failing at. You can have more than one mentor in your life. In fact, it is a good idea to have a few people in this role. But how many of us ever find a mentor before we get into trouble? Sure we hire shrinks but that is when it is too late. I want you to be pro-active not reactive. Having someone like this in your life helps you guide your decisions, both by being there to listen and provide feedback, and also by living their life in a way that provides you with a good example. A mentor sees your life more objectively than you do and holds you accountable for your decisions. Follow me into the self-discovery process into learning all about YOU! Join me and learn about the power of mentors, financial independence and how “your story” can change your life and create happiness with yourself and your relationships. Meet Meghan and Jennifer and see how their stories merge with yours. It will be fun! In my final post on my new book, I will be sharing with you more information about the book and how it will help you understand yourself more fully. Tell me below in the comments about any mentors you have had. If you haven’t had a mentor in the past, tell me about the mentor you would like to have.